We hear businesses on a daily basis assume that the majority of reviews online are a result of customers having negative experiences. 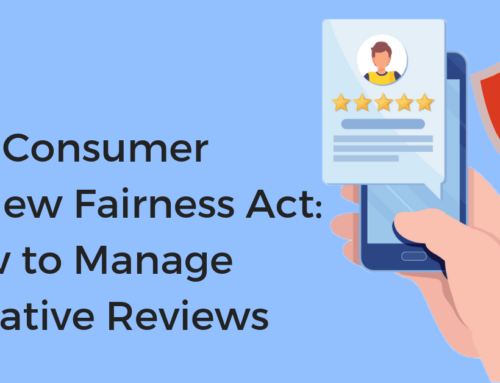 The truth is, only about 20% of customers will post a review after a negative experience, and about the same would submit a review after a positive experience. The majority of negative shopping experiences are actually never recorded and fall on deaf employee ears. While this is good news to most storefronts, the problem is that negative feedback, in fact, helps a business improve operations, retain customers, and avoid repeating mistakes. Without knowing what is turning customers away, the result could be more, negatively, powerful than having 5 stars for all of your locations. The bulk of unhappy customers are silent and some studies have noted that a mere 4% of unhappy customers will speak up and communicate their problems to the offending business. A recent survey notes that as many as 2/3 of your unhappy customers will remain silent and ready to quit your business without you ever knowing why. Strategies like Surveys can help tell a business the secrets of their (ex)customers. It is noted that about 24% of those customers who had a bad customer experience will in fact return and are willing to give you and your business another opportunity. However, they will still not communicate the complaint leaving you in the dark. While these numbers may be uncomfortable to look at, they certainly give a shocking realization at how quickly you could lose customers and garner a bad review at the same time. One bad review can drive away as many as 30 new customers per month. Unfortunately, those quiet ones are also likely to directly tell 9 to 15 people about their bad experience. Customer complaints give you a chance, silence does not. Exposing these silent, dissatisfied customers and understanding their experiences can offer huge benefits for your business. After reading all of these negative statistics you should definitely be inspired to act and make sure you are not left in the dust by unhappy customers. What you can do to ensure you hear from those unhappy customers is to take the time to ask each customer if they are satisfied with your business. Train your staff to make sure customers come first and to constantly evaluate the experience and try to ask every customer if they had a good experience. 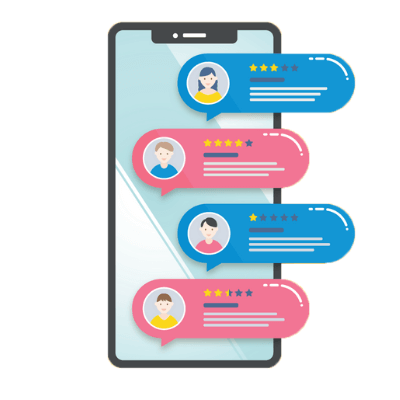 It is extremely important to get the customers to leave reviews, including negative ones, because it gives you, the business, an opportunity to learn about how to improve customer experience overall and simultaneously-by responding-show the customer that you are listening to them. This will also show the rest of the world that is looking at your review pages that you care and you are constantly trying to improve for them, the customer. According to the survey done by Get Five Stars, if you ask your customers to tell you about how their experience went and any grievances, a vast majority of them will tell you. If you would like to get more information on the topic and continue reading the series of articles on customer complaints, please go here.